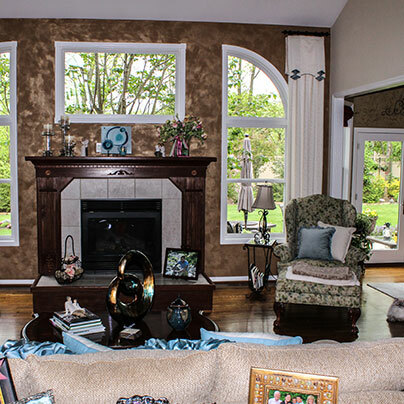 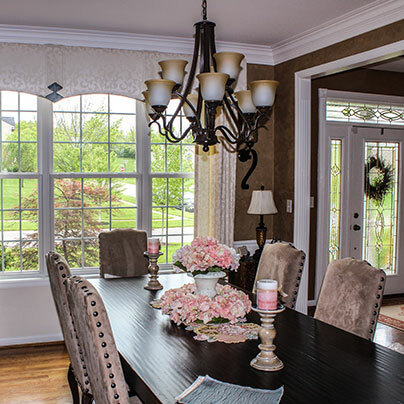 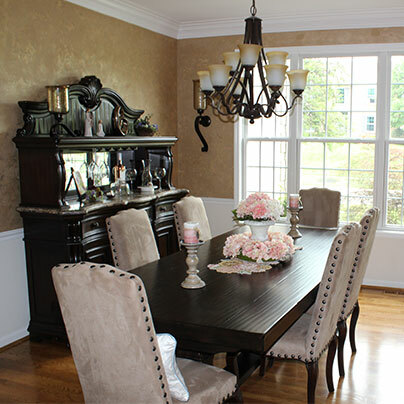 Tina’s client, Pat, wanted to update the swag-style window coverings in her living room and dining room. 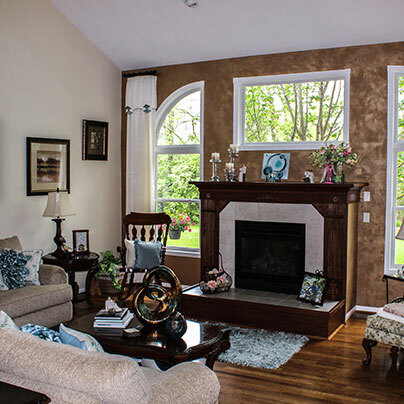 Tina worked with Pat to accomplish this simple, yet classy and modern look for her home. 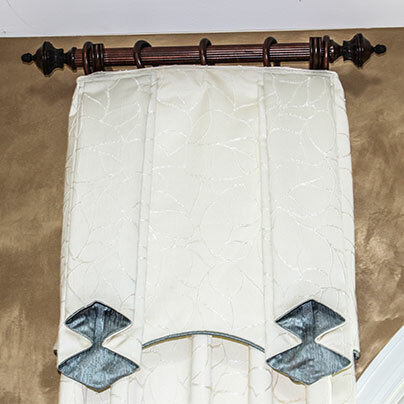 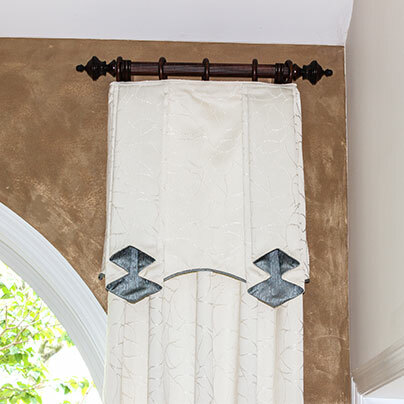 In the living room, Tina designed an off-white, arched valance with contrasting blue ties that were attached to box-pleat drapery panels and hung on decorative rods. 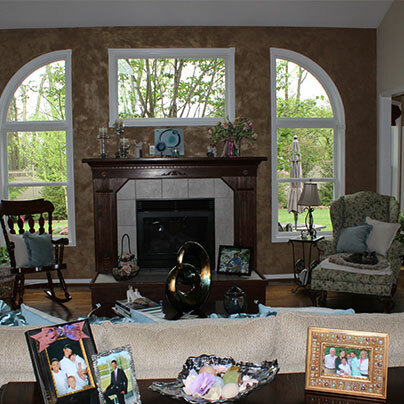 The living room treatment was designed to favor the beautiful quarter-arched, long windows and the high ceilings in the room. 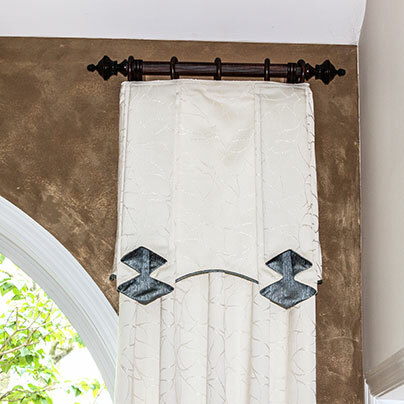 Tina pulled the arch-style into the dining room by designing an off white, arched cornice with contrasting blue ties between the arches, to create a bit of softness over the side panels. 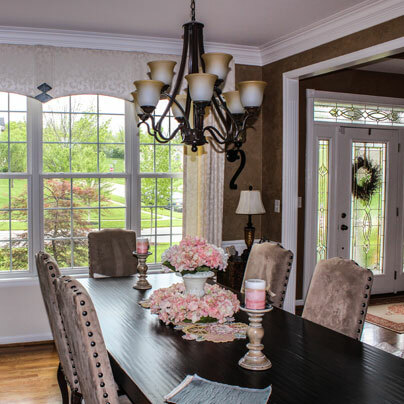 They selected fabric coordinates to provide soft elegance and cohesiveness to the open floor plan of the two rooms. 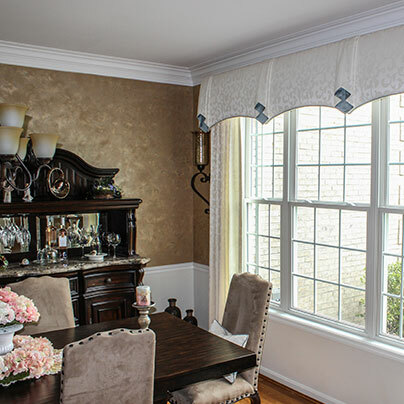 See Our Past Award Winning Windows!